This single Clear Rhodium Angel Pendant Made with SWAROVSKI® ELEMENTS which is flawlessly clear is the centre focus of a stylish Rhodium Plated pendant. 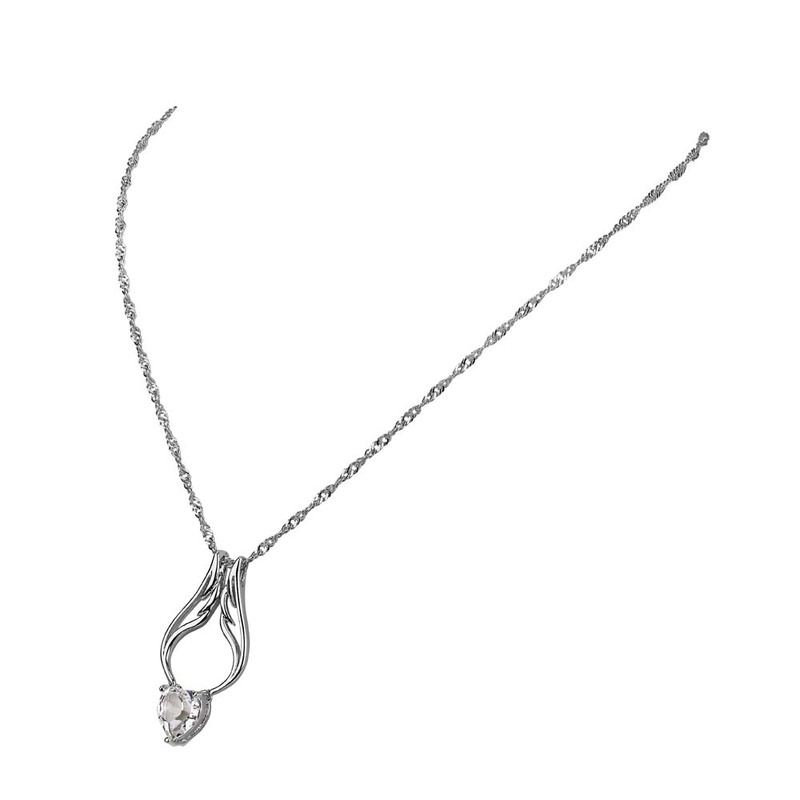 Quality has not been compromised and this piece also benefits from an Rhodium Plated chain. 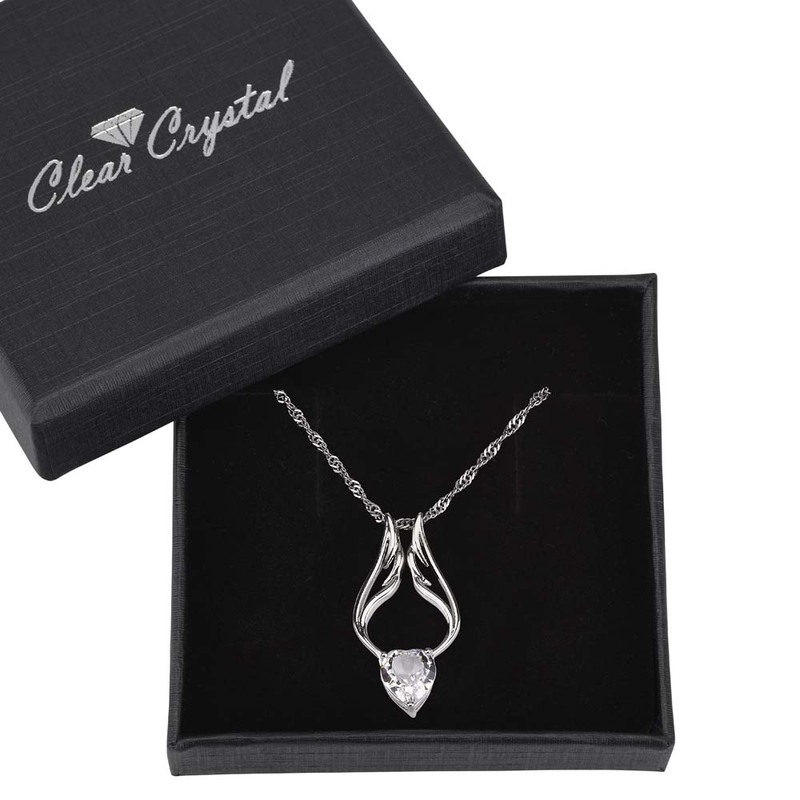 Be the centre focus and showered with compliments when wearing this stunning crystal, also available in five other colours.